$69.99 $74.95 $2,100.00 Price Drop! Let's face it, cloud backup can get pricey no matter how good the bargain. That's why Zoolz offers a smarter way to purchase cloud backup space based on solutions meant to suit your particular needs. With this lifetime of Cold Backup and Instant Vault backup, you'll have an extremely affordable place to safely backup massive amounts of data that rarely gets revisited, as well as a home for data you need to access regularly. This is an extremely affordable solution for backing up that entire mountain of files — plus that mountain you haven't made yet. TopTenReviews: "Number 1 Best Business Cloud Backup Storage Service"
Zoolz is a market leading provider of cloud-based backup. Our mission is to provide an affordable and secure cloud solution for businesses and individuals. Our innovative platform is made with you in mind. The user experience is focused on simplicity, so you will be able to backup and access big data quickly and smoothly. The amount of unstructured data is growing and it’s becoming a mounting challenge. We solve this with our latest product. 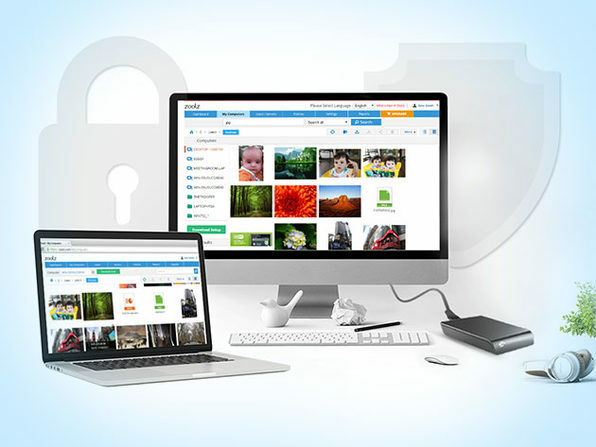 Zoolz Intelligent doesn’t just store documents, photos, videos, images or audio files. Instead, it analyses every file, structuring it in such a way that makes it easy and quick to locate, just like a search engine. But that’s not all, in just a few clicks, you can secure all your files with military-grade encryption. That’s why more than 3 million users across the world count on Zoolz. So, if you’re looking for an efficient and innovative way of securing your data, then contact the team at Zoolz – the intelligent choice for cloud backup.